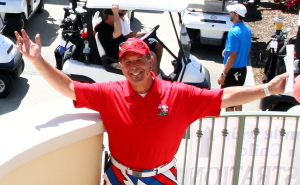 Eric Tracy is a multi-talented Master of Ceremonies, writer, reporter, talk show host, voice-over talent and storyteller who picked up his putter and his passion for golf and took them on the road as The Mulligan Man. To many, the name Eric Tracy means baseball, not golf. 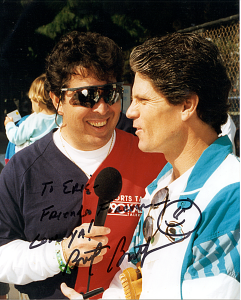 For 15 seasons Eric was a member of the Los Angeles Dodgers radio broadcast team on KABC TalkRadio. 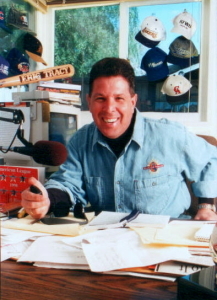 When the Dodgers switched radio stations Tracy switched too, becoming a sports anchor on KFWB Headline News.It was during this transition that Tracy created The Mulligan Man in 2000. Although still active in the media, today you’ll likely find Tracy decked-out in his brightly colored Loudmouth Golf pants racing around golf courses in his Cadillac Escalade golf cart. As The Mulligan Man Tracy’s turned his love of golf and his heart for charity into becoming a much sought-after tournament consultant, event planner, Master of Ceremonies and on-course entertainer. In the last 15 years Tracy’s performed at more than 500 events helping raising millions of dollars for hundreds of charities that have hired him. His media involvement past and present includes voiceover work. For many years he served as a spokesperson and media consultant for Ken Crane’s Big Screen Headquarters. He also voiced many campaigns for the Southern California Chevy Dealers. Nationally Tracy was the voice of the Living Air room air purifier, and will serve in a similar capacity leading the media campaign for Silent Night, a revolutionary air purifier coming out this year. On camera Tracy’s been an Infomercial pitchman. His energetic on-air style has helped sell a number of products on the Golf Channel. 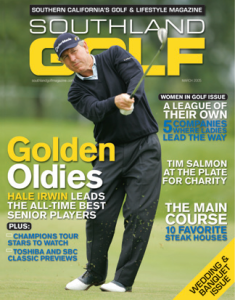 As a writer/reporter Tracy pens monthly features for SOUTHLAND GOLF MAGAZINE. His commentaries, feature articles and golf product reviews have been regularly read for the last 15 years. He’s also authored more than two dozen articles on the subject of running more successful charity golf tournaments along with numerous golf travel articles. Digitally Tracy also travels the information Super Highway as the creator of Charity Golf Online–(www.CharityGolfOnline.com)–a searchable database of charity golf tournaments. Golfers seeking to play some of Southern California’s prestigious private country clubs can find tournaments enabling them to experience golf courses they may not otherwise be able to play. For the charities the web site provides them a resource to publicize their event. Tracy is a long time Woodland Hills/Southern California resident. He is a devoted and loving father to 14-year-old JoyAnne who like her father is a performer in love with musical theater and 11-year-old Timothy who he coaches in baseball and basketball.